You will be amazed at all the difference it makes to anyone’s life when you stop treating them poorly for their mistakes. This includes yourself because it’s essential that you prevent as many traumatic events as you can. How much easier is it to reward instead of punishing? The answer will be found when you test it out on yourself and commit to doing your best regardless of the skills you already know. That is how you will become more motivated to put in more effort, to challenge yourself and your fears, to take on things that other people feel is impossible. And that will be how you gain the biggest advantage where others are left wondering how you did it. It really doesn’t matter to anyone what mistakes a person makes as long as they don’t break society’s rules. That means you can take on challenges that seem gigantic and be the first one to know what isn’t working and why. Do you understand how this world really works? When you learn the things that prevent you right now from doing the things you want to do, it will become more fun to get out of your comfort zone and to show people just how amazing you are. But don’t confuse that with needing to please other people, because you are the only critic in the world that has to approve of what you do. That is unless it’s illegal so make sure you know what those laws are and you will grow in amazing ways. What are the rewards and punishments? Before you learn anything you really have to come up with an understanding about what will happen each time you accomplish a goal, each time you learn from a mistake, and also when you need that extra incentive for just trying something risky. Rewards can be anything that helps you to remember an experience which you know will be useful in a future situation. And a punishment is, therefore, the opposite because it’s a trauma that you inflict upon yourself or another person to force a memory out of a bad experience. Which sounds more positive, to yell at a child who drops a glass, or to encourage that child to remember to hold onto things with a better grasp because when they do they will get a hug? Something you can do for yourself is to purchase or create a special meal that rewards you when you remember an important date, you start learning a new skill, or you just want to say you appreciate yourself for working on your goals. The alternative is to humiliate yourself in front of others or to tell yourself that you are pathetic and weak. These things will create additional roadblocks in your life or somebody else’s because you didn’t understand the real outcome of doing so. One of the most harmful things you can learn is to create pain and suffering where it isn’t supposed to be. That means to say or do something that will create harm to another person. This can be in the form of a communication, a bad habit, a learned behavior, a need or a desire to make yourself feel better. There are a lot of things that unless you become aware of will likely lead you to spiral downwards and confuse you as to why it’s happening. When you fail to learn how to reward yourself or others properly you are harming them instead. In fact, it’s better if the toxic person is eliminated from society so they cannot infect anyone else. Ignorance and stupidity are clear signs that you are not feeling worthy of the love you need in your life. This will make you want to lash out even more because it’s the only thing you do to feel better. Instead of allowing yourself to see what’s happening you simply say it’s their problem when it’s truly one of your own biggest issues. At some point, humanity will either all be infected to only harm each other or the side that rewards rather then punishes will dominant. Either way one will eliminate completely the other side which is too ignorant to do so. Are you one of the ignorant people or one of the wrong ones? Do you understand the difference because it’s pretty clear to a lot of people who is who? Do you know how to find out which one you are and how you can make a change in your life before it’s too late? I am guessing if you are reading this that you are trying to create a better life for yourself and that alone makes you one of the happier ones. Because you are at least willing to get this far into the article you must also appreciate good writing. Thanks for reading my ramblings and your reward is more incredible knowledge you can use to make yourself more capable as you develop your skills. There is a lot you can learn and it’s basically an infinite amount of information because each person sees the same content in a slightly different way based on their own system of beliefs, values, and network of people they know. Because of this knowledge and this is an important point to remember, you can influence other people to do things that help them or harm them and in either case, you can profit from them. One way is to manipulate people based on your own knowledge to convince them that you are somebody trustworthy. The other way still manipulates them but does so in a way that becomes there own decision so that they take away a feeling of wow I like that guy. The real difference is whether they come back for more or figure out what you did that results in a different memory. Eventually, when you harm somebody they will connect the dots, but how long does it take depends on who else is influencing them. What you need to know is that your choices to reward instead of punishing will be traced back to you at some point. That means you will gain more followers or you will receive your own punishment. When you don’t know if you are ignorant or not test your skills to find out. Do you instantly feel fear when you think about how well you will perform or do you know exactly how you will do because you understand how to build confidence in every skill you have? Stupid people are the ones who make the same mistakes for the rest of their lives and they believe that life is unfair. They also are the ones who are afraid to ask for help when they don’t understand something or even how to observe their own behavior to find out what is going wrong. Ignorance is way different because you will not be familiar with the information yet that somebody else knows. That means it’s a simple solution to learn more about the things which will help you and that includes knowing the difference between punishment(harming) and reward(praise, appreciation, gratitude). What you will start to develop as you train yourself to remove the ignorance is a person who can come up with goals, who can create plans of action and who can understand that the solution to all of their problems is already inside of them. Unfortunately, you and I live in a society where punishing people is more of the go-to solution to people making mistakes rather than helping them understand why they aren’t going to ever be happy that way. Everyone learns things in a way that works for them, but they don’t always understand how to learn so that they can really get information to stick in their minds. The problems that society has will not go away as long as people back a system that builds more problems. That is only going to infect other people and make them hate their lives. When you can see yourself in a new light, you will already know that you punish yourself for things that make no sense to do so. That means it’s a small matter to correct and to learn how to change your patterns of behavior. Simply observe yourself more and when you make a mistake stop at that moment and think about what just happened and why it happened. When you do so you will likely start to realize it was because of something you still need to learn. That mistake was from the ignorant part of you who desires to learn more and become confident that you can achieve all your goals and solve all your own problems. When you learn that lesson write it down, or write down your experiences so that you will have a record of things which can be used to reflect on and to come up with more solutions to your everyday struggles. After you have done this to a point and it’s become a good habit you will be capable of doing anything you want and know that it’s just a matter of learning what you don’t already know. This also means you will be able to look forward to that milestone and the reward that comes with it. Rather than fearing you will make a mistake and force yourself to sit through another round of punishments that do you no good. After all, punishments only add problems to your already full life because they make you feel worthless. Instead of punishing yourself to learn that every mistake has a purpose and it’s to help you. This will eventually sink in because you will stop causing more harm to yourself than you may even be aware that you are doing. And instead of this harm, you will be looking forward to pursuing your goals since you know it’s going to be for a reward. That reward is in addition to the knowledge and the understanding you gain when you achieve your milestones. What can you start to understand now to reward yourself or others? The very first thing you need to do is to grab a notebook and admit that you are ignorant about helping yourself become better. That will get your attention and hopefully allow you to start watching out for all the things you can change to turn your life around. Anytime or every time you think of something new that may help you, write it down. 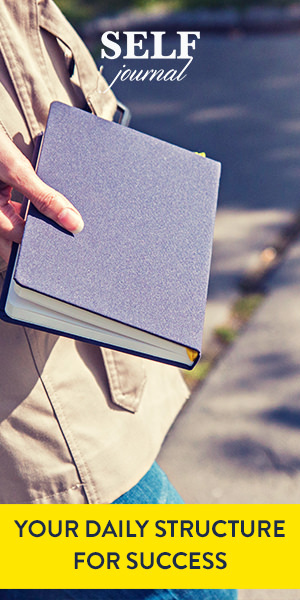 Know that it doesn’t have to be in your journal but keep a notepad with you so that you can write stuff down. When you can keep an eye on your thoughts, your behavior and the questions that you have. It will change you from wanting to punish yourself for messing something up and rearrange your thinking to reward multiple good changes that happen as a result. What things should you reward and correct that you used to punish yourself for? To know the process is to start practicing it, and that will require you to know what beliefs you have that work for you and which ones harm you. I practice by trial and error and see what makes me more excited so I can use it as a reward. The alternative is to write down your favorite things and plan to do them only after you are proud of something. This will either make you a better person or you will resent yourself from limiting things but resentment is easily fixed when you set up the best belief system that says you will only love yourself more when you practice self-discipline. Then it becomes a matter or strengthing those beliefs by seeing them, repeating them and understanding how you are using them to become the person you dream that you will be. Anyway, that is a good point to stop on, for now, be sure to test different rewards out so you understand what motivates you the most. How much easier is it to reward instead of punishing, that will be up to you to prove. Don’t expect things to go without making mistakes and definitely don’t beat yourself up when you make them. The more you can love and become appreciative about yourself the easier things will become to improve. For any questions or comments please use the space below and if you need to talk to me directly use the contact Eric page. Rewards are definitely better than punishment. This brings to mind my rescue dog that invariably has problems every day not going outside like he is supposed to. I have been getting upset with him, but it has not done any good. His behavior had not changed at all. Then I made it a point to reward him every time he did what he was supposed to. We have so many more good days now. This goes for anyone, and you are right! How much easier is it to reward instead of punishing? Really easy with better results. It’s simple to understand that rewards help to unlock potential while punishments work merely to discourage somebody to take action. When you start to limit the possibilities that are on the table you unknowingly eliminate that feeling about freedom. Removing freedom from what somebody can do will have a negative impact on how they think about their lives. This will increase the anxiety and add unnecessary stress to anyone.